Methods of drilling to be adopted depends on factors like suitability of a method for a particular type of geological formation (i.e. such as alluvial, bouldery and hard rock), cost factors, diameter and depth of borewell and the purpose intended. Rotary Drilling - Most common method used for drilling large and deep bores in alluvial formations. 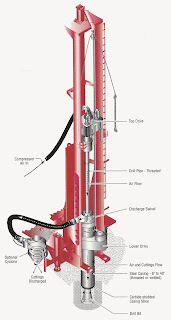 Down the Hole Hammering (DTH) Drilling – Most common method for drilling large and deep borewells in hard rock formations. What is the standard diameter of borewells drilled for domestic purposes? For domestic purposes, 4.5 and 6 inches dia borewells are usually drilled. While 4.5 inch is most commonly drilled borewells for domestic purposes, 6 inch borewells are drilled when higher yield is required for large apartments or buildings and also for agricultural purposes. Initially larger diameter bits are used to place the casing pipes up to the hard rock zone prior to drilling specified size of the borewell. How charges for drilling a borewell are usually calculated? transportation charges of the rig to the site from nearest town per km. Drilling rates are sometimes charged in slabs for specified ranges especially when deep borewells are drilled. As drilling rates usually vary depending on the availability of rigs, local demand and site conditions, it is better to cross check with few drillers to get a competitive quote. 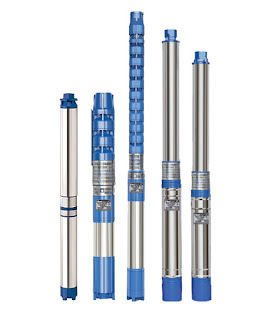 What are the types of casing pipes used in borewells? Currently, PVC pipes are very widely used as casing pipe. GI/Mild steel casing pipes which were used earlier are not being recommended due to the problem of corrosion. PVC casing pipes installed in borewells must confirm to IS 12818: 1992 that governs the specification for unplasticized PVC screen and casing pipes for borewell of the Bureau of Indian standard. This standard covers the requirements of ribbed screen, plain screen and plain casing pipes of nominal diameter 40 to 400 mm produced from unplasticized polyvinyl chloride for borewell for water supply. Slotted PVC casing pipes are used if aquifer yields through sandy zones to protect collapse of borewell side walls and to prevent entry of fine sand into the borewell which might clog the borewell. This requires detailed study by Geologists to decide slot size and at what depths these have to be provided along with gravel packing around the casing pipe. What is the safe distance between a borewell and septic tank/soak pit? Maintaining sufficient distance between a borewell and septic tank is always recommended as there are chances of contamination. If the situation warrants location of them in close proximity, it advisable to properly grout the borewell casing pipe with cement slurry till hard rock formation. In shallow aquifer zones, it is not advisable to locate borewells used for drinking purposes and the septic tank in close proximity. It is better to take professional assistance in such cases to take preventive steps around the borewell as well as the septic tank. You might have found that there are only two variables required to calcuate the water pump HP. 1) height of total lift of water 2) required flow Please take total height in meters and flow required in liter per minute. now multiply height(in meters) and flow (in liters per minute) now divide this by 4500 you will get theoretical HP of the pump. Now there is a secret to calculate actual HP of the pump In my practical experience i did not find pump efficiency more than 30 %. In most cases it is less than 30 %. So to calculate actual HP you should multiply theoretical HP by 4. Actual HP is 4 times more than theoretical HP. 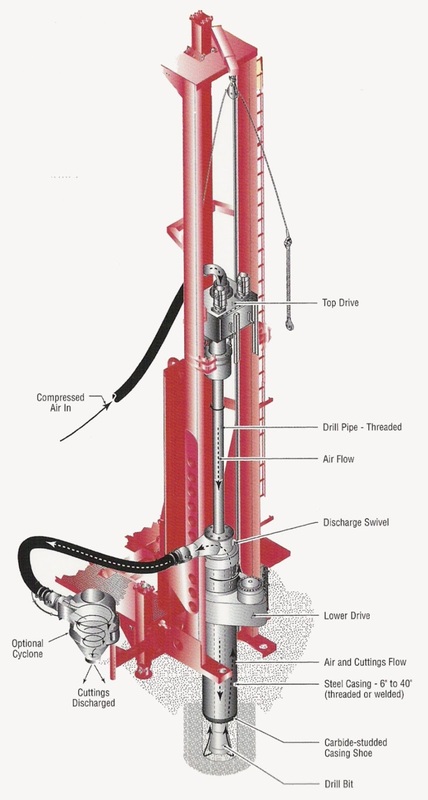 Second secret, Please calculate total suction lift from pump to sump bottom. please ensure water pump is capable of producing so much suction. Third secret, please add 20 % to your actual height of water lift. These are called frictional losses. Fourth secret, submersible pumps are more efficient than monoblock pump. 1. Try to find 3 phase availablity in your street. 2. Do you require really 3 phase or single phase pump KW ( 3 phase deposit is higher than Single phase, I think for monthly bill be same for 3 phase or Single phase). Check with pump expert. 3. Speak with nearby house people having bore, to know about water availablity during summer. 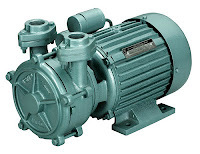 (Which helps to select the pump) Sometimes, if you go for higher suction power motor and if your bore can't yield for the motor capacity it will be problem. 4. Anyway have pipe routed to Sump & OHT with control valve. 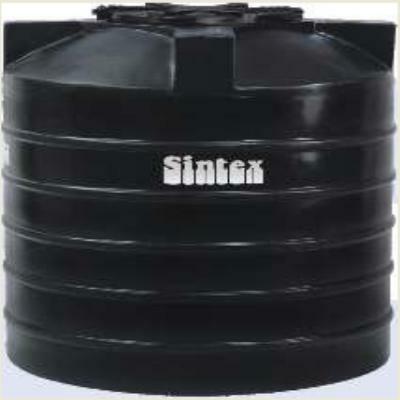 It will helps during summer time, if your bore or pump losses it efficieny. 5. Try to avoid number of bends at delivery line from bore. Please place the borewell motor at 20 to 30ft from the bottom point of the borewell in case if the yield falls down too u will not face a problem in the water supply. if you place at 400 ft and yield is less in summer then you have to rework to down the motor further and if motor runs without water there is a risk of motor failure. If 4 people living in a house and every 2 days water need to be filled then 2*4*200 = 1600lires. Price : Normally Rs.6 per litre. Great Article Deepak. I was planning to drill one borewell today. Your information certainly gave more insight and details. Deepak.. any suggestions or modern methods and cost to dig traditional wells instead of bore well. I do have a half finished well 16 feet depth ( size 6 feet x 15 feet) left unattended but thinking of reviving the well. Any suggestions. Thanks. I drilled a borewell 5 days back in south bangalore and failed to get any water source.Dtrilling depth was 700ft.many of neibours have got water at 350-400ft. The drilling agency owner says that I can still get around 1200 ltrs to 1500 ltrs per day from the failed borewell, he asked me to wait for 5-6 days and then check the water level in the drilled hole, Is this true information?.What is your suggestion on this. I consulted a Geologist and showed him my failed borwell point and he said that ' There is no water source at my site(20.0'x30.0' plot) and chances of getting water are very rare. Hi Abdul, You get your borewell point scanned which helps you to determine whether the bore well has the water or not. This information helped me a lot. Thanks very much. I drilled a borewell & I got water at 500 feet however we went up-to 560 feet and stopped, the water level is 2 inches, now I need your suggestion to buy a good pump , we are constructing G+2 building. Fantastic article. Never thought that this much science is behind it. Cheers. Great article Deepak wonderful job and its big help for the people. Great stuff , Deepak . Itz really A to Z of Borewell. By the way I m also from salem . Hi - who is yr bore-well contractor as I too want to a bore ( 6") at my estate at Sakleshpur ( Hassan Dist.) and was looking for a contractor - 300ft & with PVC casing - Compressor pump? Thanks Depak....I appreciate your hard work for putting this article together...very informative!! I am planning for a borewell of depth 700feet. v already have a bore in d farm but d water depth has gone down,,, so v r plannin 2 drill further n increase d depth..
We digged borewell of depth 300feet and used submersible pump. Now, there is a problem with pump. The technical personnel tried to pull out the pump but failed to do so. Please, advice in the matter at the earliest. I drilled a 4.5 bore for a depth of 155 feet on JUNE 17 2014. Got water from 100 feet. Casing is done for the entire depth. I am getting white cloudy water still. After consulting the borewell guy, he suggested to add a mix of 250gm powdered alum and 250gm bleaching powder to a half bucket water and pour the solution in the well. Is it the correct process? Your information about borewell is really useful. Thanks for sharing this informative article. Today I had geological test, he said water is available after 1000 ft , and only half inch available. I am planning to construct 4 floor building with 15 families . will that be enouhf water for us, please suggest. Please sugges anyone. Any help will be appreciated. I like to give you more,although i found one that’s more dateils.It's rather a nice useful little bit of information. Thank you, its very useful information Mr.Depak. in my site i have 1000Ft bore well. based on my requirement i selected 10hp 30 Stage TEXMO V6 model pump. and now i have to do pipeing for that so can i go with HDPE or some thing else? Can you tell me the geologists who can able to found the ground water in and around salem or sankagiri? Water Divining is a traditionally accepted around India and we can even in the world, tested method. I have been observing water divining for more than a 25years and the Success rate has been around 80%. This is purely my observation. Only an experienced water diviner can pin point the exact location around 20 to 50fts from the right spot will result is wastage of efforts and money. Even very deep digging will not be of any use. An expert can track the underground water veins. The ideal drilling spot should be two/three such water flow lines intersect. Chains, etc. I have seen people use all these methods. Find an expert at your place and/or take local people feedback or drilling vehicle people feedback. every one believe on luck. Very useful information Thank you very much. I engaged a geologist to locate the bore well point in JP Nagar, Bangalore in monsoon season. The water table is available at 560 - 650 ft below the ground level. The approximate yield as suggested by geologist was around 800-1000GPH. I request your advise whether to go with drilling. If yes. 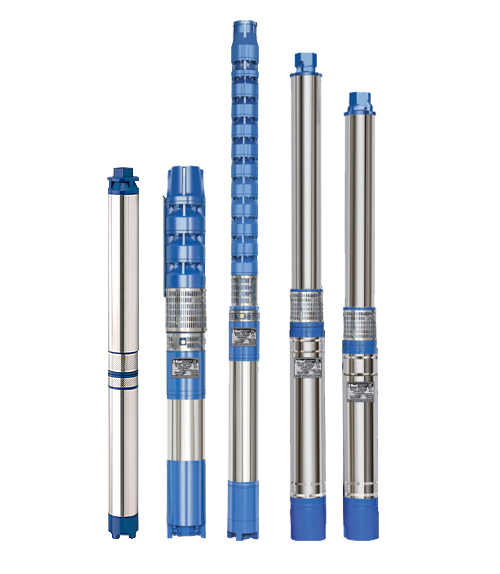 what is size of submersible pump you will suggest. I have 1 query. My borewell area is Distt. Rampur (U.P.). 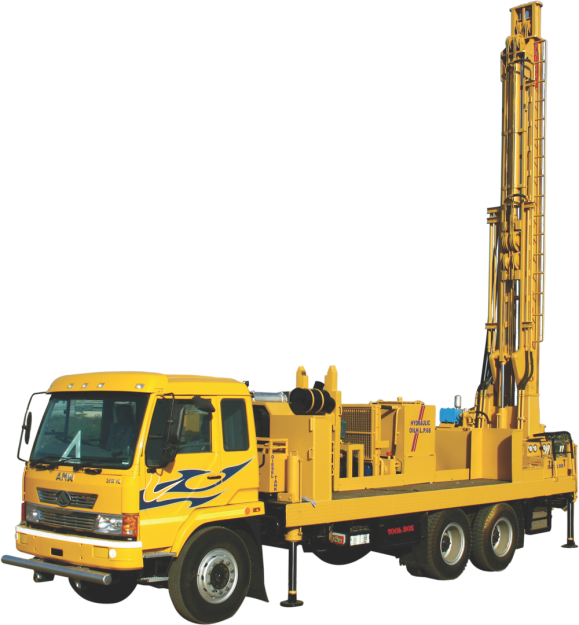 Before 2 months we have drill bore well upto 270 feet 4" diameter. We used V-Guard 1HP submersible pump & PVC pipe. But problem is white sand is coming in water. When we on the switch water is coming clear after 5-7 minutes not clear water & after few minutes white sand is coming. Sand ratio is 1 Bucket:2 Table spoon. After borewell contractor did not clean the borewell. Please suggest us and give any solution. Our borewell cost is very high lumsum 68 thousand. We asked the contractor, he is always saying same words please wait some times it will clean itself. otherwise he will use water filter. Please help us what is the reason. Thank you very much Dr. Deepak. Ocean of information about borewell. Very useful too. We have 8 inch borwell with 5KV motor and 380 feet depth. Now we are planning for new borewell. Please suggest what could be distance for old borewell and new borewell. Old borewell has good amount of water but we require one more borewell. Thank you for the information. Can you please advise in calculating HP, the Height will also include the depth of borewell? For example: if the borewell depth is 750 feet and building height for G+3 = 12 M then total height = around 250M. Required flow is 50LPM then the HP will be 2.7. As suggested to multiply by 4 then it will be 11 HP which is quite bigger. Normally peoples are using 2.5 HP. Kindly advise. Hi Deepak, I have a plot of size 50ft x 40ft at talegaon Dabhade, Pune. I'm looking for borewell drilling, kindly guide me. who will survery, drill & cost. I looking for borewell near AMC college of engineering, Bannerghutta Road Bangalore. Please suggest me the cost and what is depth to get best water source. Hi deepak. First of all thanks for the information you provided.I have electrical conductivity of my open well water as 1.0 . Is there any possibility of getting reduced ec value by going for borewell. can i know the approximate cost of the filter pipes used after drilling? in my locality standard drillbit is of 6 1/2 inch now days. can it widen the borehole n dig to to 250 feet?